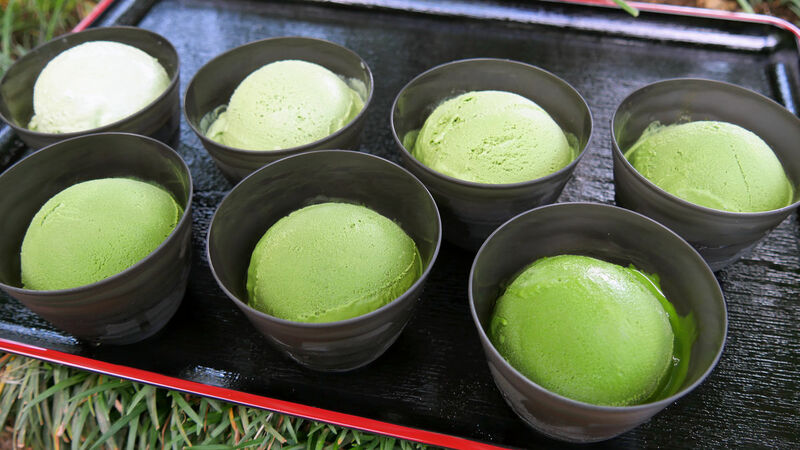 Green tea, or matcha ice-cream has been steadily growing in popularity in the recent years. Some matcha ice-creams are sweetened to tone down the strong flavour of matcha, but then there’s Nanaya. Nanaya is an ice-cream shop in Japan that sells unsweetened matcha ice-cream in all its glory. Instead of using sweeteners to make up for its bitterness, what Nanaya does is separate its ice-cream into 7 different levels. Nanaya is a company that has been in the matcha business for a long time. Based out of Shizuoka, it has been churning out some of the finest matcha in the area since 1988. After that, they ventured into making matcha sweets and were rather well-known for that as well. Back in 2016, they teamed up with the Suzukien tea shop to produce premium matcha gelato. 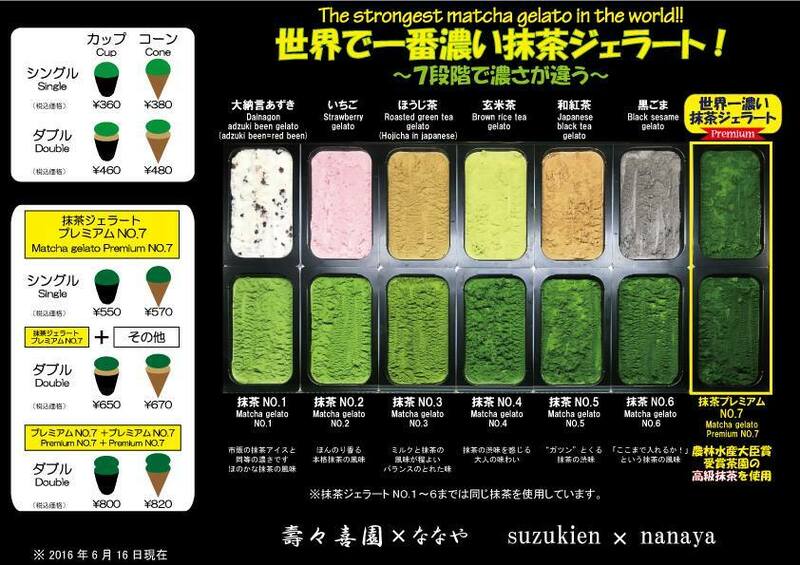 The 7 different levels represent the intensity of matcha. Level 1 is the mildest, whereas level 7 is most intense. From level 1 to level 7, the colour of the ice-cream also gets darker with each level. If you’re not ready to embrace the purity of matcha, don’t worry. Nanaya also has other ice-cream flavours such as milk, hojicha, strawberry and red bean among others. 2 years ago, their first matcha gelato shop opened in Tokyo. 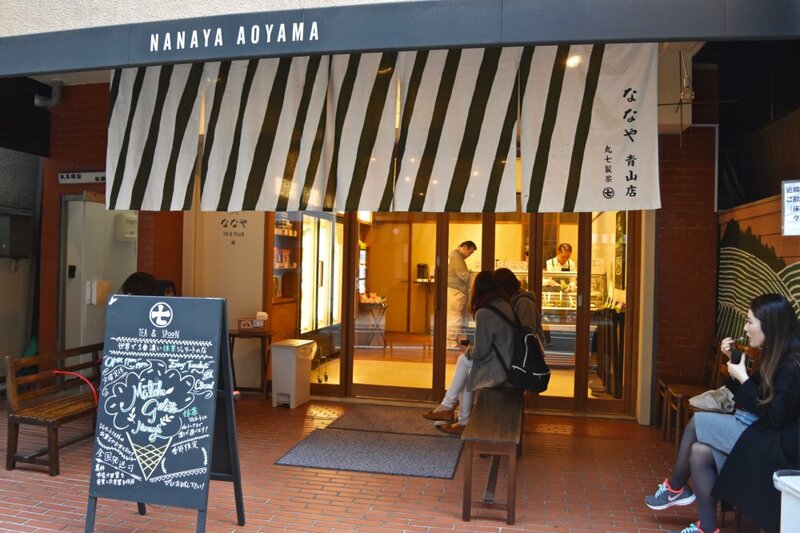 2 years later (2018), Nanaya is opening a second shop, this time in Kyoto. It’s quite usual to see a queue protruding from Nanaya; after all, they claim to produce the best matcha ice-cream in the world! If you’re a matcha-lover, this is the place you need to be! Even if you’re not, you should also pay a visit solely for a unique matcha experience! There doesn’t seem to be any plans to expand out of Japan anytime soon, so to all holidaymakers in/going to Japan, don’t miss out! Next articleCatch ‘Em Pokemon Sneakers with Fila!